Governor Andrew M. Cuomo issues a statement on the LIRR train derailment incident in New Hyde Park where approximately 600 passengers were on board. Approximately 600 passengers were on board at the time of Saturday's incident. New Hyde Park, NY - October 8, 2016 - “At approximately 9:10 p.m. this evening, a train on the Long Island Rail Road was heading eastbound on the mainline when the first three cars of a 12 car train derailed about one half mile east of the New Hyde Park Station. Approximately 600 passengers were on board at the time of tonight's incident. Thankfully, early reports indicate that injuries are minimal. At this time, 11 people have sustained injuries, none of which are considered to be serious. Photo By: Governor M. Cuomo, via Flickr. "Service is currently suspended on Ronkonkoma, Oyster Bay and Port Jefferson branches, and customers should use Montauk, Babylon and Hempstead lines at this time. 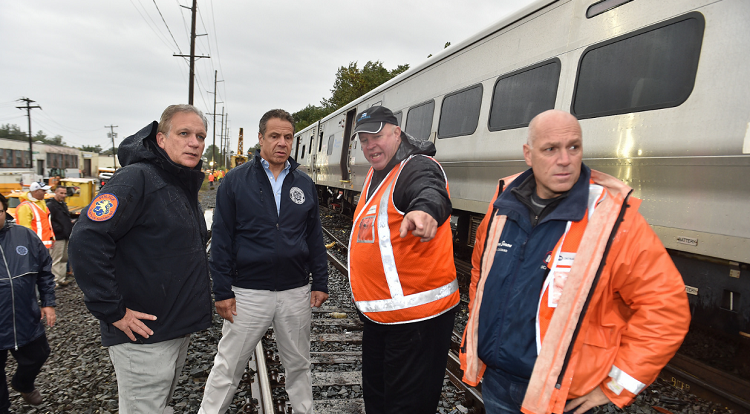 "Staff from the MTA and the LIRR are on the scene and will work around the clock to determine the cause of this derailment and restore service as quickly as possible. 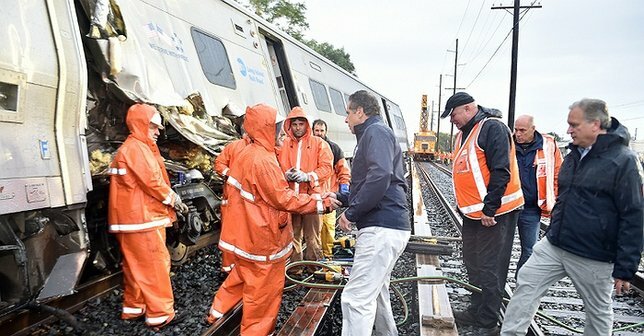 Subject: LongIsland.com - Your Name sent you Article details of "Statement from Governor Andrew M. Cuomo on LIRR Train Derailment"